NATIONAL WATERMELON PRIZE #3: WATERMELON CARVING BOOK - What About Watermelon? For this month’s final prize, I had some different ideas bouncing around about what it should be. Then I started to think about July coming to a close and how half of the year is basically gone. The close of July usually marks the end of my favorite month, as July is National Watermelon Month. I don’t get too discouraged, though, as the next month is just as fun and just as watermelon-filled. 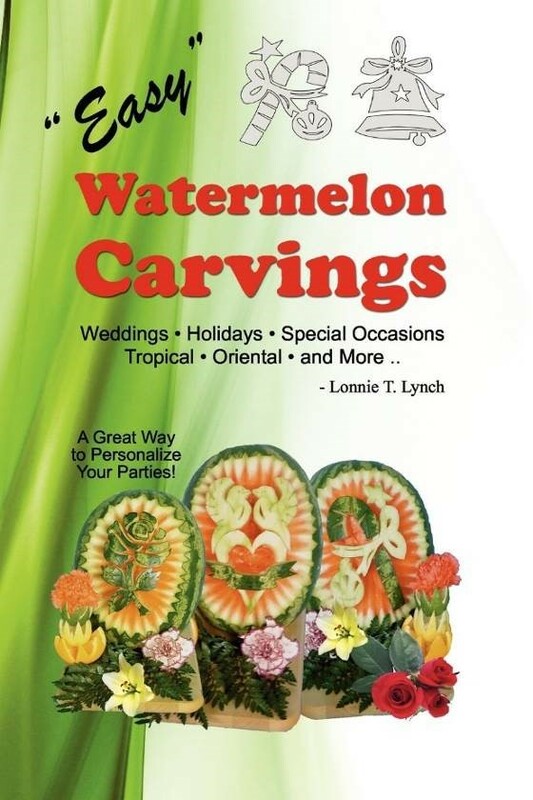 Because I’m officially in a watermelon-carving mood, one lucky commenter on this post will win Chef Lonnie Lynch’s “Easy Watermelon Carvings” book ($7)! With this easy-to-follow instruction guide to carving watermelon, you’ll be well on your way to creating your own masterpiece. And, who knows, you could be the 2016 watermelon carving champion! Leave a comment below and I’ll choose one as the winner!